My husband handed me a large box this weekend when he returned from a trip to retrieve mail from our P.O. Box. My first reaction – I didn’t recently order anything and certainly wouldn’t send a large box to our post office box requiring a long-line lobby wait for the post office service counter. Inspecting the box I noted the return mailing address was not familiar nor was the name of the sender, although it was from a local address in a familiar neighborhood. 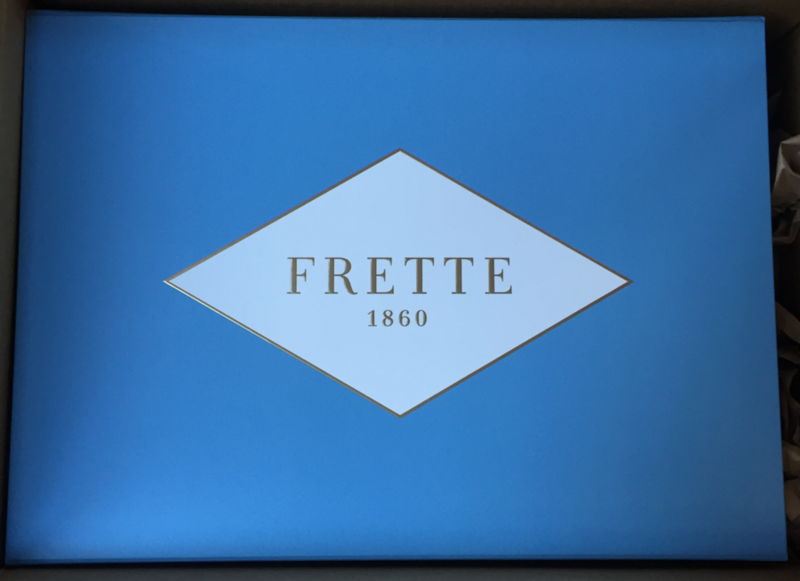 I opened the shipping box and found a beautiful FRETTE 1860 box. The contents of the FRETTE box was meticulously wrapped in white tissue, secured with a gold seal. I carefully opened the seal and unfolded the tissue to find a luxurious FRETTE bathrobe; travel size Atelier Bloem shampoo, conditioner, body was, and body lotion; and a lovely handwritten note (see reproduction below). Needless to say, as a Customer Experience & Loyalty Strategist I was more than pleasantly surprised – I was blown away. Yes, I am a Kimpton loyalist. No matter which Kimpton property I stay at I’m always welcomed with a smile and a heartfelt “Thank you for your loyalty Ms. Santoro” when I check-in. Like all IHG Rewards Club Members, I accumulate reward points that can be used for free nights at any IHG hotel. However, as a Kimpton Inner Circle Member, I’m given more, like a “Raid The Mini Bar” coupon, which entitles me to $10 worth of beverages or snacks from the mini-bar or a glass of wine (or other beverage) from the hotel’s bar/restaurant during my stay. And, when available, I automatically receive a room upgrade. Several Kimpton properties always welcome me with a personalized “Welcome back” note and treats from the kitchen, which have included salted almonds & dark chocolate, or cheese & crackers, and typically accompanied by a lovely bottle of wine. But here’s the important thing for me. When Kimpton was acquired by IHG back in 2014, Kimpton loyalists all over felt that pit in their stomach; was Kimpton to be assimilated into another mega-hotel chain and its personality lost forever? Turns out, so far (and save a few nuances like the aggravating card readers at the front counter) IHG has largely kept their corporate paws off the boutique experience of Kimpton. Smart. By realizing the novel nature of the Kimpton brand experience and not trying to assimilate it into the IHG brand experience, they’ve kept loyal customers like myself. That’s nice, because Kimpton went above and beyond with today’s surprise; they have extended their brand experience into my home. Every time I wrap myself in my new, lush FRETTE bathrobe I’ll (of course) think of Kimpton. And, I’ll continue to go out of my way to stay at a Kimpton property when traveling. Today Kimpton moved me from a Loyalist to an Advocate.